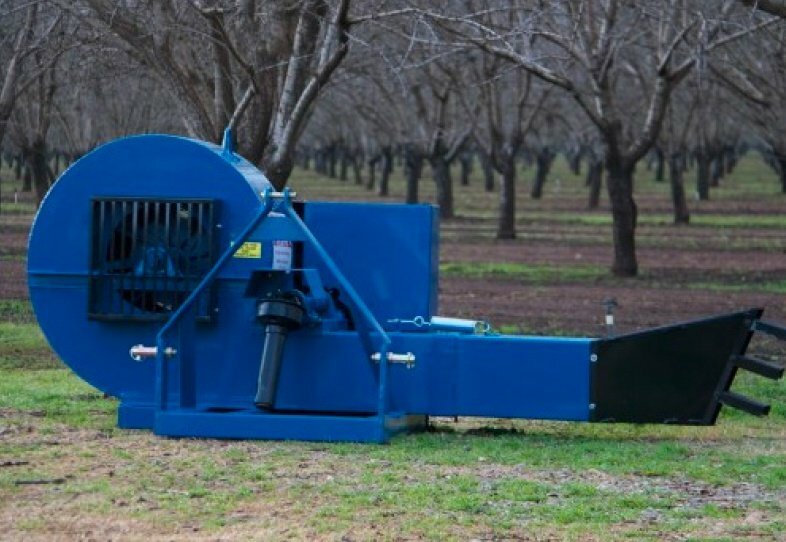 JD80LP, an industry first Low Profile Self-Propelled Sweeper that is the perfect height for high density planted orchards with very low canopies. 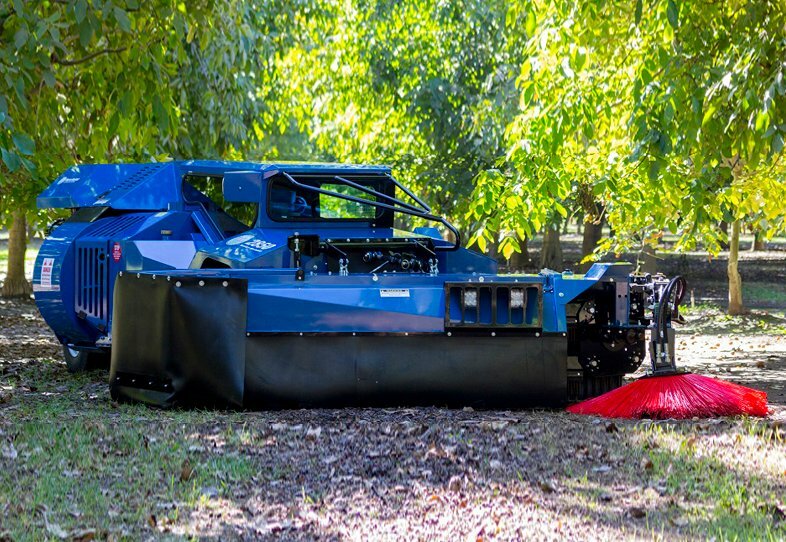 With a Cab height of only 53 inches, this powerful unit is 13 inches lower than the standard height air cab sweeper. It is available for our international market and is powered by a John Deere 4045-D 80hp engine and heavy duty Torque hub drive system. 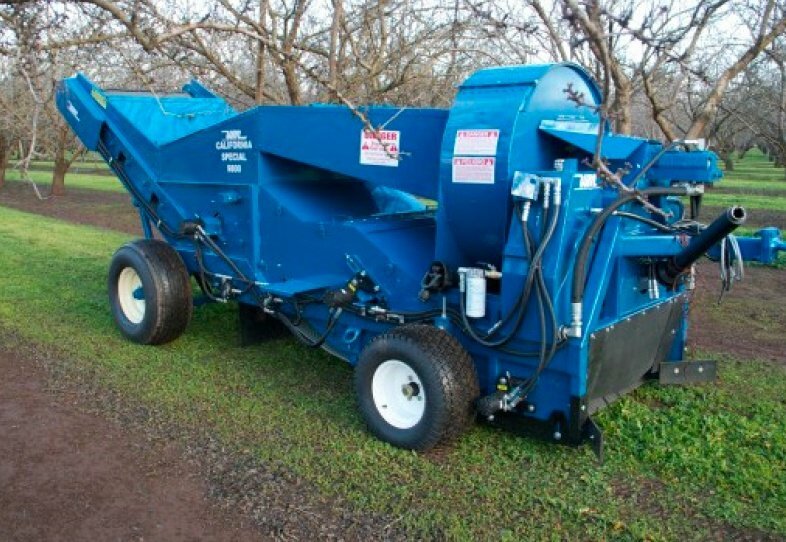 It is available with either a low profile tine bar or auger type sweeper head. 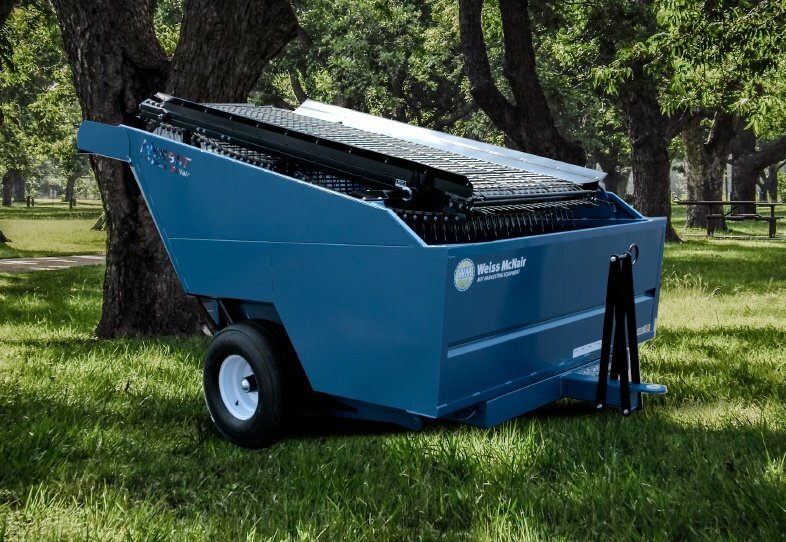 Standard air conditioning provides driver comfort while the dust free, pressurized cab allows for more efficient operations. Tine Bar 4Bar - 6' 6", 7' 6" & 8' 6"
5Bar - 6' 6", 7' 6", 8'6" & 9' 6"